Congratulations! Arvixe has made a special offer available to you. Take 20% off your hosting plan by using coupon code: WHC20. Arvixe’s hosting is as low as $3.20 with coupon. More details. Arvixe is currently a top 5 ranked web host. We found them the best hosting solution for those needing Windows hosting. Arvixe is a raising star in the web hosting industry and has a full suite of hosting options available and definitely worth taking a look. Do you specifically need .NET or ASP hosting? If you aren’t sure or unfamiliar, the answer is likely NO. If you are setting up a blog with WordPress, you can use Linux and save money. Choose non-ASP solutions. However, if you are sure you need ASP and Windows hosting, be sure to sign up with this link to save 20% off the Windows solutions at Arvixe. Do you need eCommerce? If you are not setting up a shopping system, then skip BusinessClass and save money! If you do need a shopping cart, then the BusinessClass option with free SSL and dedicated IP address (needed for SSL) is included. Are you setting up your first website or have a lower traffic website? PersonalClass is for you! Do you plan on having more than 6 websites within the next year? Yes? Go for PersonalClass Pro. No? Go for PersonalClass. Have experience with Arvixe? Awesome! Please click here and leave a review below! Visit Arvixe »Remember to use our coupon code! Reseller Hosting: These plans are for those needing to host client websites or for those who want to start their own web hosting company. VPS: Virtual private servers are what I use exclusively to host my websites. They provide more control and traditionally have less websites per server. Dedicated Servers: For the ultimate in speed, you’ll have an entire server to yourself for your power-hungry website(s). Please see their website for pricing information. Arvixe currently offers a 60-day money back guarantee on Personal, Business, and Reseller plans on both Linux and ASP plans. Refunds are not available to accounts that have been determined to abuse their terms of service and acceptable use policy. Be sure to read and review these lengthy policies before signing up to protect yourself from refund issues. At the time of this writing, I’ve seen a trend towards negative feedback on various sources which may indicate problems with their service within the last three months. Please exercise due diligence and do current research (as I’ve done) if you are considering this web host. A customer satisfaction survey on June 2014 concluded that out of 307 survey responses the average rating was 8.6645 and 92.51% would recommend Arvixe. Telephone Support: US-Based toll-free telephone support 24/7. Live Chat: Not 24/7 based on observation. Discussion Forum: See requests from customers and get assistance. 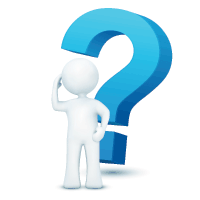 Knowledge Base: Full system of frequently asked questions and troubleshooting. Ticket System: The most common method to get support for issues. Overall, I find Arvixe offers many ways for a customer to get in hold of them. Also, their forum appears active and helpful with many of their clients responding to help others. I’ve found their testimonials section full of positive reviews with some negative reviews that are mainly resolved. I don’t tend to trust reviews from web hosts’ own forums because they are often biased for obvious reasons. However, their other sections of the forum really seem to help their users and they even include a Server / Network Status section where they keep everyone up to date on known issues. Very useful review and very honest it seems. What I don’t understand is why every hosting company has this auto-renewal thing turned on by default and some charge you for the next term even one month earlier than the account is set to expire. How could they possibly know what is better for me as a client? They always say this is to protect me as a client to have my account closed if the expiration occurs without renewal. Why if I really want to cancel that account? I mean, if I don’t pay for renewal then I don’t need that account. Hey Bob, I agree about auto-renewal. I wish companies would provide an opt-in so that both parties can feel they benefit from that type of service. The issue comes when credit cards expire or are closed with the client forgetting to update their information. They end up depending on the auto-renew and having their hosting accounts closed if the emails from the billing system go unreceived. I see this complaint all of the time with registrars where people lose their domains due to relying on auto-renewal. Arvixe screwed my site up when I “upgraded” my plan with them. When I got upset with them after trying to be civil for 2 WHOLE WEEKS they decided to suspend my account and now I have lost my $250k business because my backups were on their server. BEWARE! I apologize for the issue with your upgrade. I understand your website was working, yet your chat rooms were not. I have emailed you the full backup from the server, as well as refunded any payments you made on the account. We apologize for the issue. I know you only consider reviews of those who have used the service for at least a month, but I’ll add this experience in case it helps someone else. I purchased a personal account on 8/30, tried to launch a site on 9/1, and was greeted with about a day of downtime. It took over twelve hours for them to respond to my ticket. Now that the ticket (CXU-191-89298) is closed, service on ‘trout’ is only intermittent. Perhaps this is just unfortunate timing and I should have started with a business class account, but it was not a good experience either way. This combined with what I read above makes me happy that I only committed to a month. On the bright side, I guess Arvixe did me the favor of failing early. Full Disclosure: I contacted support via chat in-between my initial ticket and eventual response. They verified the problem was on their end and promised to send me an email when the issue was resolved. Support was courteous and kept that promise. Hi Faust, We are sorrry for the issue you have had with Arvixe. Please note that what occured is not standard and we take any issues with our service very seriously. There was a network issue with our Datacenter, it has since been resolved as you stated in your post. We are glad it was able to be worked out. We would still like to work with you and gave you credit for time down. Please e-mail QA[@]arvixe[. ]com and we will be able to assist you. I have hosted a website here on arvixe. I have a great experience here. Their customer support is providing best client support services. In 2 years, I never experienced a little downtime to my website yet.. Thanks for the review, but I feel after reading some of the replies, mostly the person who lost out do to upgrades and the way he was TREATED. the problem should of been dealt with with-in hours, even a day or two NOT weeks.. He was a paying customer for gods sake. I think I will have a look around at other hosting sites first now. Shame as I was about to order some hosting. I’ve set up my 30 sites on Arvixe and have to say that their support is excellent, the site speeds are fine (even on a PersonalPro account) and I love the cPanel. This cPanel is so easy to use and has every feature and option I could possibly want. Well done Arvixe – keep up the good work! Arvixe is a scam. Their hosting servers are constantly being infected with CBL trojan virus’s, thus lowering my domain’s rep and forcing me to delist with spam blockers like spamhaus. This review is woefully out of date and does not reflect the current state of Arvixe’s hosting solution. The support number is gone from the website, tickets are backing up by the hundreds, wait times for live chat support are an hour or more. Search Twitter for “@Arvixe” and judge for yourself. This company is in ruins. Find another host. Avoid Arvixe at all costs. This review is completely outdated. Yes back in 2013 Arvixe was a reliable company. This changed quickly after EIG took over in 2015. The current Arvixe is a complete SCAM, with customers experiencing downtimes of weeks in a row without any help from support.